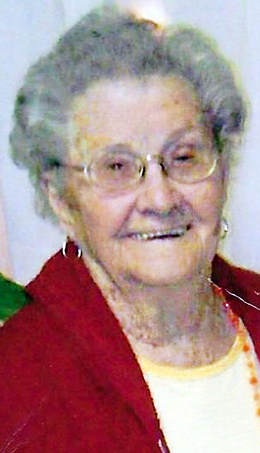 Graveside services are scheduled for 11 a.m. Friday, Dec. 28, at Woodbine Cemetery for Helen Louise Sipes Odell. Odell, 97, passed away Saturday, Dec. 22, 2018, in Angleton, Texas. She was born March 5, 1921, in Bennington, Okla., to George D. and Dealie E. Sipes. She had five brothers and three sisters, all of whom preceded her in death. Helen lived most of her adult life in Artesia and Roswell. She enjoyed hunting, fishing, and searching for arrowheads in the mountains. Survivors include nephew Clifford J. Sipes and wife Delia of Brazoria, Texas; nieces Lynda Imondi of Oviedo, Fla., and Carolyn Merritt of Lawton, Okla.; and numerous other nieces and nephews who will cherish her memory. Arrangements are under the direction of Dixon Funeral Home of Brazoria. Condolences may be expressed online at www.dixonfuneralhome.com.